And here we are at the end of the liveries. And so in typical Victory Works fashion we'll end with the beginning! 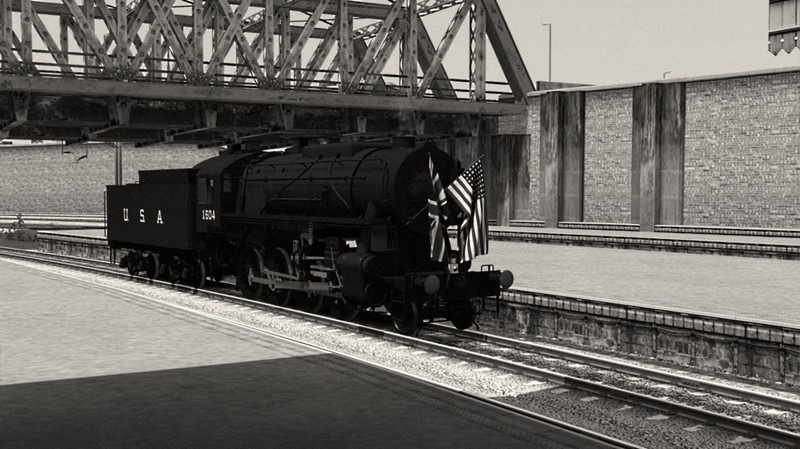 The picture below is a recreation of a photograph taken on 11th December 1942 of the first official S160 no. 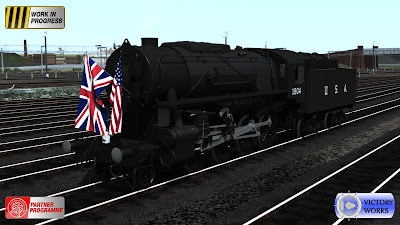 1604 steaming into Paddington station for the handing over ceremony, adorned with the British Union flag and the flag of the United States of America (we had to do some googl'ing on this one and made sure that we used the 1912-1959, 48 star version!). 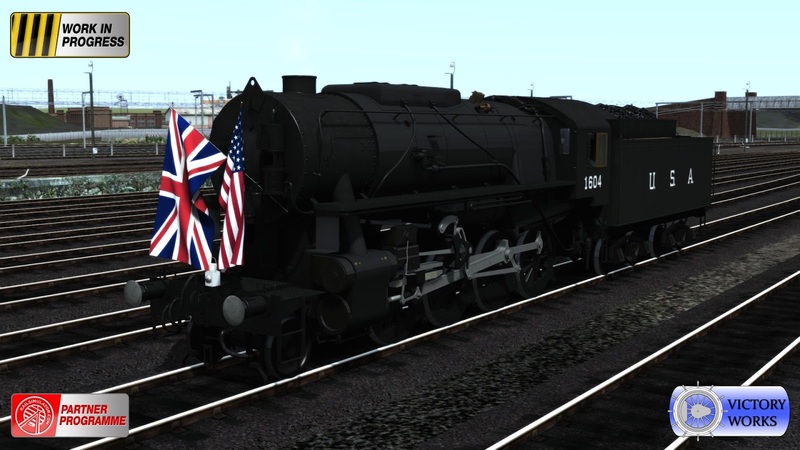 And this is the livery that we used to create the image - a brand new, highly polished S160 in a plain black livery with the flags attached to the smokebox. And that brings us to the end of the liveries for the S160. We hope you've enjoyed seeing the multitude of colours and options as we've revealed them and are looking forwards to getting your hands on them. Next week we'll start showing the accompanying rolling stock, all with the continuing theme of WW2 era freight.